Arthur Lloyd was a singer of 'swell songs', he was one of the most outrageous and risqué of the 'Lions Comiques' performers. His father was an actor and Lloyd followed in his footsteps and trained as a legitimate actor, with a company in Edinburgh. This training meant he was meticulous and he was known for his attention to detail when performing. His studies were very detailed and produced very distinctive characters, such as the Railway Guard. This song warns of the problems that other passengers could cause when travelling on trains. 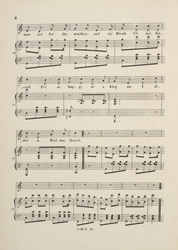 It is typical of Music Hall songs in that the lyrics contain clever 'play on words'.